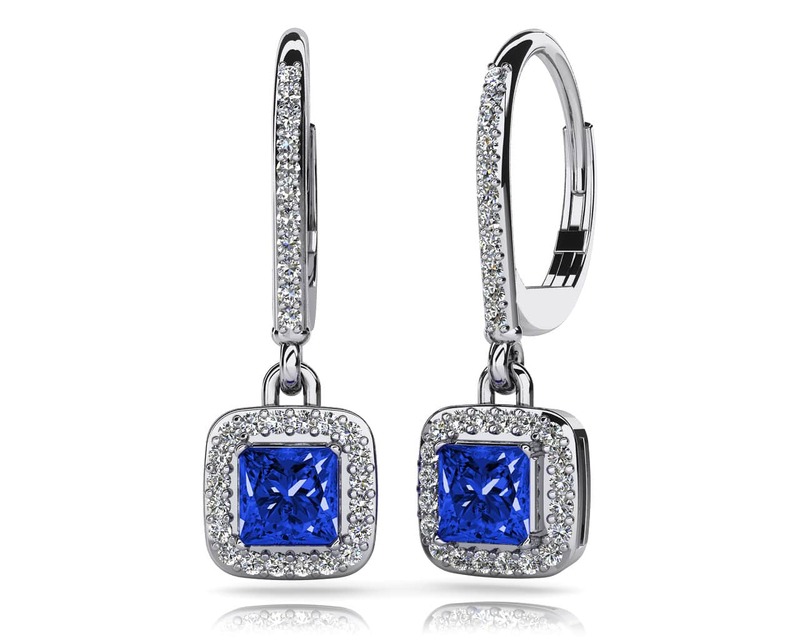 These beautiful gemstone and diamond drop earrings feature diamond lined lever backs with a square shaped drop portion dangling below. 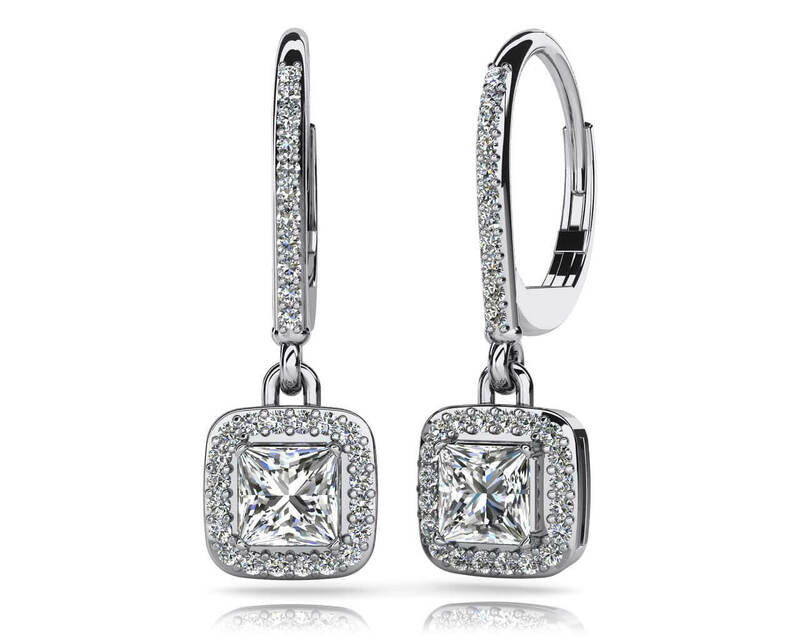 Each drop portion contains a lovely princess cut gemstone, accented with smaller round diamonds around the perimeter. These earrings have incredible sparkle and can be customized in your choice of gold or platinum, favorite gemstone and three carat sizes. All gemstones are AA quality. 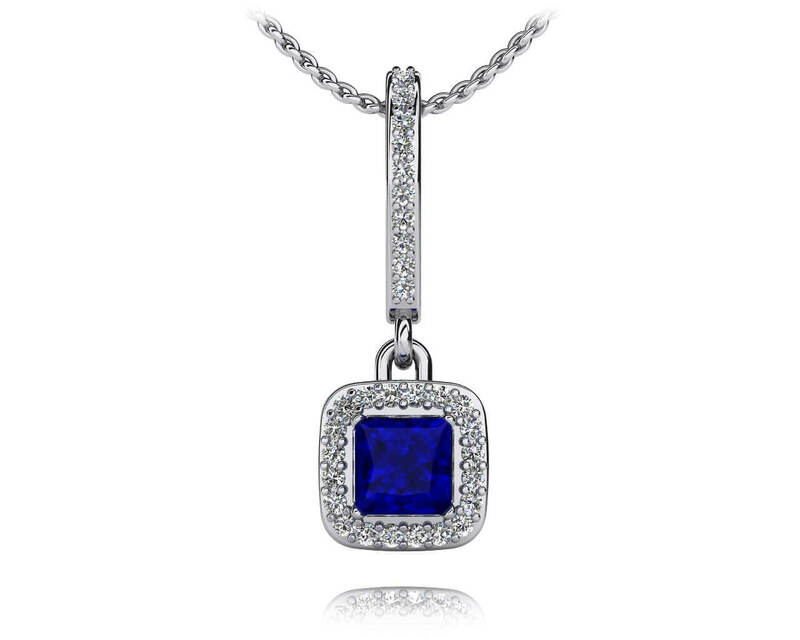 Effective Carat Weight: 0.29 ct.
Stone Carat Weight: 58X.005 ct., 2X0.400 ct.